Institute of Cost and Works Accountants is one of the leading financial schools in India. The ICWA CMA exam conducted by the Insititute of Cost Accountants of India (ICAI) consists of three stages (Foundation / Intermediate/ Final). The entrance exam for ICWA is held twice a year i.e. in the month of June and December. Here we are also providing the CMA Foundation Course New Syllabus & Study Material in the Form of PDFs. 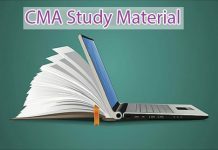 One must follow these study materials for the good CMA Results. 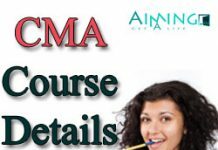 ICWA or CMA Exam is the Post Graduate Entrance Exam which is conducted by Institute of Cost Accounts of India and it is one year Post Graduate Course. The exam for the entrance is held twice every year in the months of June and December respectively. This is national level entrance examination where anyone can ap0ply for the exam and get admissions in the foundation and intermediate course. The Institute of Cost and Works Accountants (ICWA) of India is a statutory body of Government of India. It was established by an Act of Parliament of India in the year 1959. The Institute of Cost Accountants Of India (ICAI) which was some time ago known as ICWAI. Institute of Cost & Works Accountants of India has changed its name into ICAI. 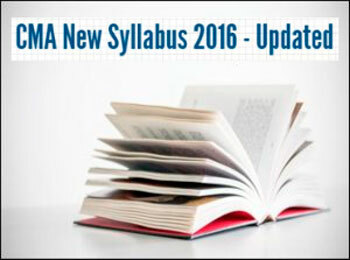 The following Study Materials belongs to the new 2016 Syllabus. 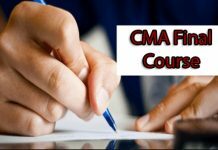 Students Can Download these CMA Foundation Course New Syllabus in the PDF Format for the upcoming exams December 2016 and June 2017. ICWAI Syllabus 2016 contains the subjects of Fundamentals of Economics and Management, Fundamentals of Accounting, Fundamentals of Laws and Ethics and Fundamentals of Business Mathematics & Statistic.